This college was established in 1968 as co-educational college in SAMARTHA village situated in Dalsinghsarai Block under Samastipur Sub-Division of Darbhanga District of Bihar State with endowments from the family of Late Pt. Ram Nirikshan Singh, a noble-hearted philanthropist and a bosom friend of Late Rajendra Prasad, the first president of India. The college was named RAM NIRIKSHAN SMARAK MAHAVIDYALAYA. In course of time the college was shifted to Samastipur in 1969. Here, it got its glaze, glamour, grandeur and shine with the addition of the name of another philanthropist Late Pt. Atma Ram Mishra, father of his worthy son Sri. Data Ram Mishra, who donated a huge amount for resurrection of this college. Then it was re-named Ram Nirikshan Atma Ram College, Samastipur. The only thing constant in life is change. This change has brought about a grand success in the life of the college as well as in our lives. It is the relentless efforts, zeal, dedication, commitment and exemplary team work of the members of the college family that the college has been recording a satisfactory progress in its overall performance. It has been earning ever- increasing accolades since its very inception. What appeared to be a distant dream when the college started in the â€œLog Cabinâ€ in the initial stage has now become in reality â€˜a grand institutionâ€™, a constituent unit of L. N. M. U. Darbhanga with over-crowding students humming and hovering on the campus. From its very inception the college is trying to full fill one of the noble objectives â€œTo facilitate accessible and affordable quality education that leverages the students with scholarly and professional skills, moral principles and global perspectiveâ€ as to be seen in the Self Study Report, the narration of which is being given in this part. The College imparts teaching of up to Graduate level in Arts and Science subjects. The college follows the directives of the affiliating University (Lalit Narayan Mithila University, Darbhanga) regarding academic calendar, curriculum, admission, examination etc. Often the teachers help the University in designing curriculum as a member of Senate, Academic council, Board of Courses of Study of the affiliating university. At present the college caters the need of 2200 plus students. There are 15 permanent teachers, 5 lab personals, 8 administrative staff and 15 IV grade staff. The students have option to choose from as many as Sixteen Honours subjects of science (5 subjects) and arts (11 subjects) stream. Three Certificate Courses are also running to train the students for career orientation. 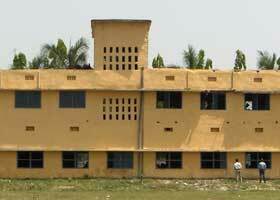 A Distance Education Study Centre of DDE, L. N. Mithila University is also running in this college. The admission process is controlled by the admission committee and it is done strictly on merit basis. Reservations in seats are made as per the Govt. rules. Studentsâ€™ knowledge and skills before admission are judged by the marks they obtained in the qualifying examination. Following the University Rules the Institution is providing as much flexibility as possible for moving from one discipline to other within a time frame fixed by the university to enable them to pursue study of their choice. The advanced learners are given credit and the slower learners are given encouragement to have grip over the study matter. Studentsâ€™ attendances in classes are seriously monitored for determining their continuation of the subjects. The college conducts academic programmes according to the academic calendar framed by the University. The teachers predominantly follow conventional lecture method of teaching. As per recommendation of the NAAC Peer Team, LCD projectors, OHPs, Smart boards, CDs, Computers are available to faculties to adopt new and innovative approaches for class room teaching. The faculty members also use models, maps, specimens to make their teaching more effective. They also arrange lectures of the students on the learned matter of their syllabus for effective interactions between students and teachers. The teachers regularly submit monthly progress reports regarding teaching and research activities in the format framed by the University. The college in organizes seminars on burning social issues on regular basis. Teachers are encouraged to attend conferences, seminars and workshops and also present their research papers. Many faculty members are also supervising research work and more than two dozen students were awarded Ph. D degree by L. N. Mithila University, Darbhanga in different subjects of Arts and Science faculties. Some teachers have completed or are engaged in their minor research projects. The college library is very rich in terms of quality and number of books. There are more than 23000 books in the college library. According to the demands of the departments the library committee recommends purchase of books and journals on regular basis. There is a small reading room for the students and the teachers in the library. There is a Career Counselling Cell in the college. This cell is a centre of various kinds of activities such as organising seminar from resource persons, managerial persons from job providing companies, spoken English course, personality development programmes as well as placement of students. Through this cell more than 12 students got job in different companies in 2012. Since its inception, the college is improving its infrastructure and learning resources. It has a two storied building that accommodates the administrative office, Staff room for teachers, Class Room and Chemistry Department on the Ground floor. On the first floor of the building Physics Department, Library with reading room, Geography Department with laboratory and store room and Psychology Department are situated. There is another two storied building in which one Meeting hall, Sports and Culture Department, Political science Department and Punjab National Bank are situated on the ground floor. On the first floor of this building Botany and Zoology Departments with laboratories are situated. Besides, there are three more class rooms, one room for IQAC, two rooms for NSS and one room for health centre. Besides, a separate two storied building is under construction in which ground floor is marked for library and upper floor for class rooms. One womanâ€™s hostel is under construction with the financial support of UGC. One indoor sports facility (110â€™ X60â€™ X41â€™) is also under construction from the grants received from UGC. The college administration is assisted by the different committees. Also there is a Academic Council to take academic decisions. There is a Bursar appointed by the university who looks after the finance of the college. Above all the Principal co-ordinates the entire decision making functions. The college has at present nearly two thousand two hundred students; about fifteen percent of them are girls. The college has one unit of NSS. The college publishes updated prospectus in every academic year. The college also started publishing a college magazine â€œSANKALPâ€ from 2013. The poor students are benefited from the government scholarships, poor boys fund and studentsâ€™ fees concession scheme. 2 students of session 2011-14 and 43 students of session 2012-15 of Science faculty are getting DST INSPIRE SHE Scholarship. A co-education constituent college of L. N. Mithila University. Kameshwarnagar, Darbhanga. Out of 16 teachers including Principal 10 possess Ph.D. and 1 M.Phil. Six faculty members have carried out Minor Research Projects. Teachers use LCD projectors, Smart boards and Internet to adopt new and innovative approaches for class room teaching. Teachers also use models, maps, specimens to make their teaching more effective. Teachers regularly participate in seminars, workshops and conferences to get updated on the changing trends in education and related areas. Record of good academic and extracurricular achievements. Well disciplined campus conducive to learning. Library with good collection of standard books and journals including research journals. Social commitment and personality development through NSS. Women empowerment programmes like skill enhancement to support and guide the educationally and socially backward women. Financial support through various scholarships. Promoting programmes to cater human values, social sensitiveness, self reliance, National integration etc. Acute shortage of teaching faculty because no appointment of teachers since last 10 years. Out of 46 sanctioned posts of teachers 31 are lying vacant. Shortage of technical staff and computer operator. Lack of adequate infrastructure such as class rooms, laboratories, administrative block. Support from Alumni is nominal. Introduction of training programmes like IT skill enhancement, Additional Skill Acquisition Programme (ASAP) and Equal Opportunity Centre can definitely enhance the employability and attract campus recruitments. Empowerment of women from this educationally backward area can bring about improvement in the social set up and community structure. Ample scope for starting post graduate and research programmes as a good number of teachers possess research degrees. Educational, Social and Economic backwardness of the locality prevent even the high achievers from moving out for higher levels of learning or employment. Poor schooling of the students and lack of basic knowledge about the subjects create problem in progress of the curriculum. The Alumni input and support in terms of finance, academics and personal presence is limited. Students are mostly first generation learners getting little motivation from the parents or the society. Extracurricular talents and ventures are not being nurtured in the current system due to time constraints. Course feedback is not being given its due importance as a corrective resource by the students, feedbacks mostly lack a clear analytical transparent approach.